Ask a Tech Teacher offers a variety of classes throughout the year. These can be taught individually (through coaching or mentoring), in small groups (of at least five), or as school PD. All are online, hands-on, with an authentic use of tools you’ll want for your classroom. 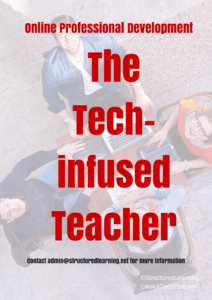 The 21st Century teacher blends technology with teaching to build a collaborative, differentiated, and shared learning environment. In this course, you will use a suite of digital tools while addressing overarching concepts like digital citizenship, internet search and research, authentic assessment, digital publishing, and immersive keyboarding. You will actively collaborate, share knowledge, provide constructive feedback to classmates, publish digitally, and differentiate for unique needs. 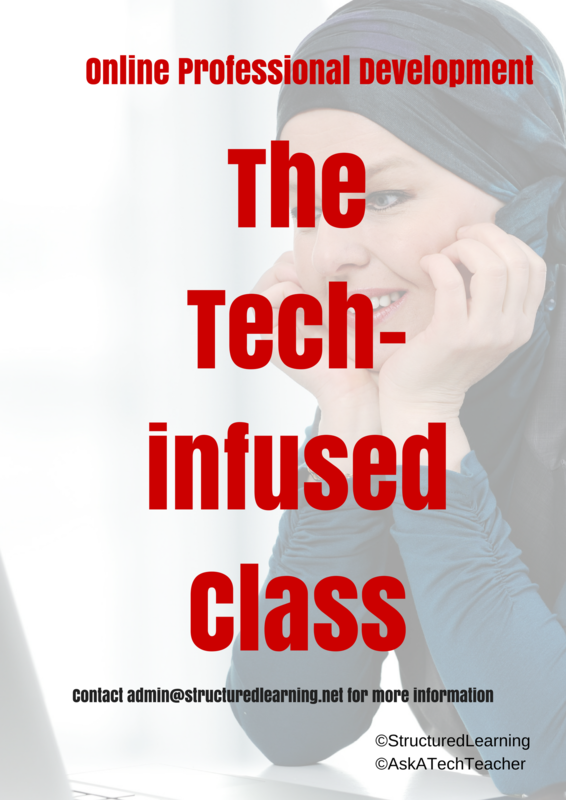 Classmates will become the core of your ongoing Personal Learning Network. The 21st Century classroom blends technology with traditional teaching to build a collaborative, differentiated, and shared learning environment. 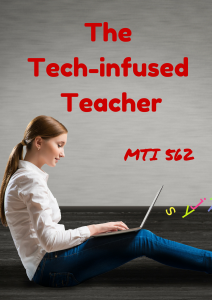 This course is a follow-on to the introductory class, Tech-infused Teacher, digging into the digital ideas and tools used by innovative teachers to extend and enrich student learning. This includes topics like how to build your tech-infused classroom, using tech to differentiate for student needs, teaching reading and writing with tech (you can learn more about that in the class, Teaching Writing with Tech), and favorite digital tools. You will actively collaborate, share knowledge, provide constructive feedback to classmates, publish digitally, and differentiate for needs. Classmates will become the core of your ongoing Professional Learning Network. Educators participate in this hands-on quasi-writer’s workshop as they learn to use widely-available digital tools to help students develop their inner writer. Resources include videos, pedagogic articles, lesson plans, projects, and virtual face-to-face meetings to share in a collaborative environment. Strategies introduced range from conventional tools such as quick writes, online websites, and visual writing to unconventional approaches such as Twitter novels, comics, and Google Earth lit trips. These can be adapted to any writing program be it 6+1 Traits, Common Core, or the basic who-what-when-where-why. By the time educators finish this class, they will be ready to implement many new tools in their writing classroom. Participants in this online class will explore twenty popular digital tools educators use in their classrooms to extend learning and differentiate for student needs. Participants will review between one and four each during the class (by themselves or in groups) and present their review to classmates in a weekly Google Hangout. Participants will respond to the reviews of their classmates with comments, suggestions, personal experience, and questions. All tools can be used by participants in their classroom during the upcoming school year. 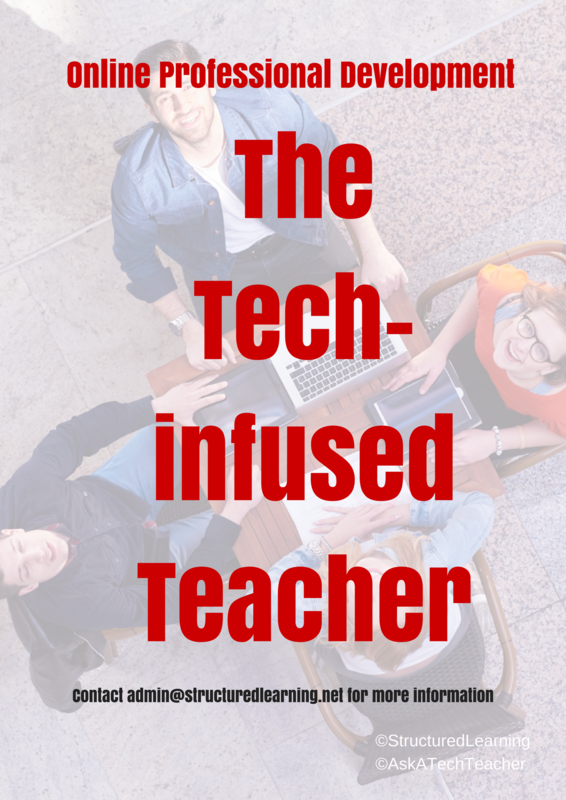 This is a high-energy, innovative, and motivating class that can be reproduced in a Professional Development setting or with students in your classroom (in fact, you’ll get a lesson plan on how to do just that). Assessment is project-based so participants should be prepared to be fully-involved and eager risk-takers. Enrollment is limited so sign up early! Price includes course registration, college credit, and all necessary materials. Group discounts available. Differentiation in the classroom means meeting students where they are most capable of learning. It is not an extra layer of work, rather a habit of mind for both teacher and student. Learn granular approaches to infusing differentiation into all of your lesson plans, whether you’re a Common Core school or IB, with this hands-on, interactive class. Ideas include visual, audio, video, mindmaps, infographics, graphic organizers, charts and tables, screenshots, screencasts, images, games and simulations, webtools, and hybrid assessments. If for your school, how many will be taking the class?